Home Page > About > Why Choose our brand over others? Our saffron threads are 3/8″ to 1/2″ in length. We only use the part of the stigma that has saffron. 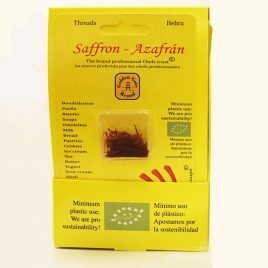 As a result, our saffron is free of any impurities. As for our vanilla beans, we buy them directly from the field, thus assuring excellent quality and price. Most of our vanilla extract comes from our own vanilla beans. All our other extracts are manufactured in the US.